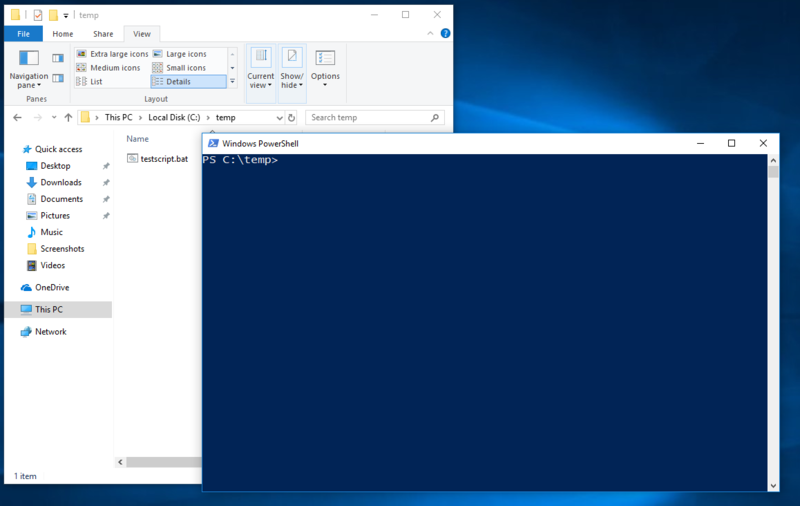 Many times, you are browsing folders and find a console style program that you’d like to run, but would like to do it from the command prompt itself, or from the Powershell prompt. Rather than opening the CMD.EXE or Powershell prompt and navigating to the folder you’ve already opened, you can open the prompt very easily. Here is how. 1. Navigate to the folder you’d like. 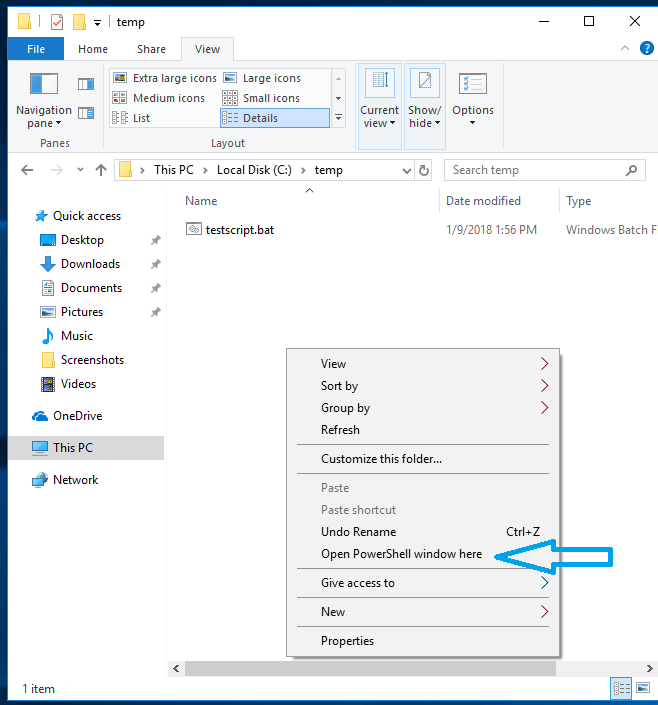 If you right click within the folder, you get the following menu. Notice it does not allow you to open a prompt. 2. Now, hold right shift and then right click within the folder. Notice the new menu option “Open Powershell window here” (some older versions may say “Open Command Prompt window here”). 3. 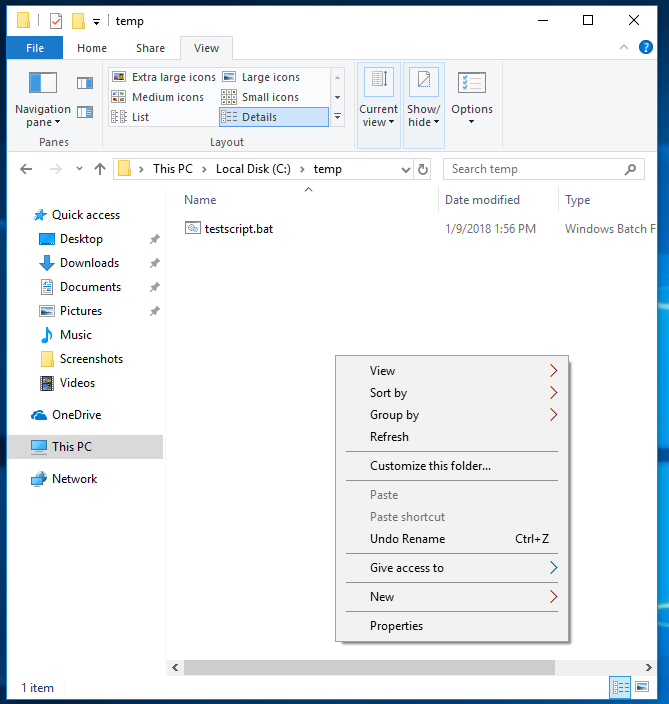 When the prompt opens, it will already be at the folder location, ready to run the program or script and give you more verbose output without closing the prompt that is typical of running scripts from a window.